On any given day, about one in 12 adults in hospitals across Canada are either colonized or infected with a superbug, the first national survey to determine the prevalence of antibiotic-resistant organisms has found. The survey of 176 acute-care hospitals looked at rates of infection or colonization in patients from three bacterial microbes that have become immune to the killing effects of most or all antibiotics — MRSA (methicillin-resistant Staphylococcus aureus), VRE (vancomycin-resistant Enterococci) and Clostridium difficile. "And that by itself is a substantial burden of disease," said principal researcher Dr. Andrew Simor, head of infectious diseases at Sunnybrook Health Sciences Centre in Toronto. "About one in 12 adults ... are going to have one of these three antibiotic-resistant organisms, and clearly the rate would be even higher if you started to add on other resistant organisms that we were not able to measure," Simor added. However, those who carry a bug can go on to become infected. For example, from one-quarter to one-third of patients colonized with MRSA become infected with the superbug, which can attack the skin and soft tissue, cause a form of pneumonia or invade the bloodstream. About 30 to 60 per cent of MRSA pneumonia patients and 20 to 40 per cent of those with MRSA bloodstream infections die. Carriers can also spread a superbug to other patients, especially the elderly and those with weakened immune systems due to other illnesses and whose hospital beds are in close proximity. In Canada, most patients with VRE are colonized rather than infected, said Simor, noting that isn't the case in the United States, where the pathogen causes a "huge burden of disease." Findings from the November 2010 survey, published Monday in the journal Infection Control and Hospital Epidemiology, provide a snapshot of superbug prevalence in Canada, but also suggest which measures seem to help reduce their spread. "Number 1, there's no doubt that antibiotic use drives the development of antibiotic resistance," said Simor, explaining that overuse of antibiotics can wipe out susceptible bacterial strains, allowing resistant strains to proliferate. "So one factor is how antibiotics are used, both in the community and in hospital settings, and also in the agricultural and veterinary sections as well. So it's the cumulative antibiotic utilization that is still at substantially high levels that drives resistance." 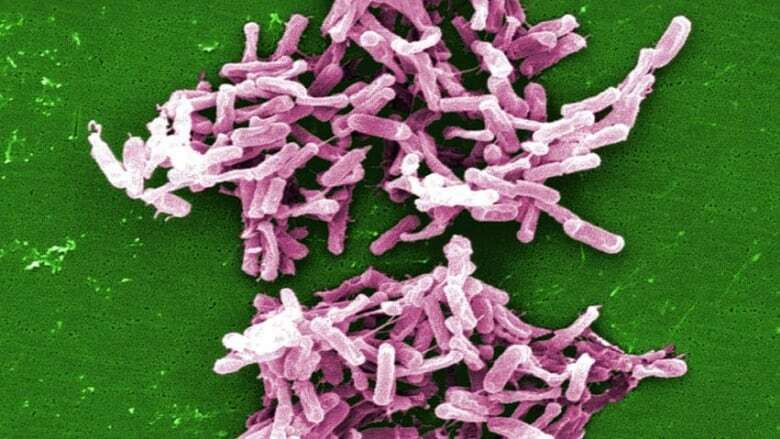 In hospitals, the internal mechanisms that make superbugs drug-resistant can be transmitted between different bacteria as well as from patient to patient, he said. There are two main strategies to prevent people getting infected or colonized with microbes like MRSA: eliminating inappropriate use of antibiotics — which kill bacteria but have no effect on viruses such as those that cause colds — and ensuring high standards of infection control in hospitals. Those measures include keeping patients found to be carrying or infected with a superbug in a private room along with strict enforcement of environmental cleaning policies, both of which are designed to prevent the diseases spreading to other patients and hospital staff. Researchers found lower prevalence rates of superbug infection and colonization in hospitals where potentially infectious patients were cared for in isolation and where there were strong policies for cleaning and disinfecting the hospital environment. Higher rates were found in health-care institutions that did not routinely isolate infectious patients or had less stringent cleaning policies. However, Simor stressed that the study showed only an "association" between the existence of those policies and lower superbug rates — and doesn't prove cause and effect. "I can't say that those hospitals have lower rates because of these policies," he said. "But it is clear that the association exists and it deserves further study to confirm whether there is a cause-and-effect relationship. "In the meantime, it certainly provides additional evidence that these are appropriate infection control policies for hospitals to be following." The study also looked at regional variations across country — hospitals in all 10 provinces and the Northwest Territories took part — and found one notable difference: VRE rates were significantly lower in Eastern Canada than elsewhere in the country. The prevalence of MRSA and C. diff cases did not vary much by province or region, although C. difficile rates were lowest in Eastern hospitals. "We have to determine what can we learn from that because I don't have an answer right now as to why there is that difference," Simor said of the VRE rates in particular. "But the difference exists and it's real." Compared with other countries, Canada has a lower prevalence of cases than the U.S., but the rates exceed those in such countries as Sweden and Denmark. "I think that suggests that we have a certain measure of success because we're not as bad off as the United States, for example, but that there's still an opportunity for us to do an even better job, and we still have a way to go," he said. The study involved only acute-care hospitals with at least 50 beds and did not include pediatric, psychiatric or long-term care facilities. Simor said the survey provides a baseline of prevalence rates that will allow researchers to monitor both national and regional trends in subsequent studies and help tease out which infection control measures are having the most impact.